Are you planning to promote your new business, buy a new smart phone or looking for the best university for your higher education? Whatever your requirement is, the answer lies in the advertisement. In today’s world, almost all of our decisions, from buying groceries to finding a holiday spot, are guided and influenced by advertisements. In the era of mass accessibility, young adults have access to more media outlets than ever before. According to a study, the over exposure of advertisements in media allows the average teenagers to consume an average of 5,000 advertisements a day. Well, there are multiple medium of advertisements. Print media is one of the oldest but still popular medium of advertisement. It includes newspaper, magazines, brochures etc. There are outdoor medium of advertisements as well. It includes banners, flags, bill boards, motor vehicles etc. Outdoor advertisements can be used in various ways to increase brand awareness. However both ordinary people and experts have their reasons to believe that the advertisements affect the viewers/consumers tremendously. Firstly, advertising influences how people feel about themselves often in a negative way. Based on the images they see in advertisement, they are bound to feel that they should be thin and beautiful like the models in the ads (whether they are men or women). There are many advertisements that communicate in a way that men should be handsome. Those impressions are often unrealistic and unattainable. Advertisement creates an unrealistic image of beauty. Many males and females fall victims to the demanding messages conveyed through ads, forcing to conform to a certain image of what is considered ‘beautiful’. These images and pressure can result in many major impacts on the physical and mental well-being of an individual. In a recent survey, 69% of girls said that magazine models influence their idea of a perfect body shape. There are many cases that show just how far some people are willing to go to reach physical perfection. Some even go through extensive plastic surgery, spending thousands of dollars. One such example of a girl was published where a girl surgically removed a couple of ribs from her body in order to look like a Barbie girl. But is it always a good idea to get influenced by whatever we see around? Not at all. Removing ribs to get a perfect body is never a wise decision because it can lead to fatal consequences in future. Secondly, advertisements always portray human life as a perfect one, which influences the way of living of the consumers to a great extent. The consumers want to lead life in the way it has been portrayed in the advertisements. When they fail to do so, they start considering their life as an imperfect one whereas the reality is quite different. Thirdly, by displaying negative and confining images in advertisements the adverts are limiting the self-concept of young adults. By growing up around such images, young adults are taught that the ideas presented are the “set” way of life, and are cajoled into believing that these false perceptions are reality. Numerous studies prove that stereotypical ideas about life have adverse lasting effects on young adults. Fourthly, teens are given an impractical unattainable goal to live up through the advertisements. Because of ads teenagers are often influenced to wear or act in certain ways which are often unachievable. Leading life following the advertisements has become a social trend for the youths. These social trends greatly affect today’s youths and their lifestyle. That’s why many youths feel some kind of satisfaction after buying the items that are shown in the ads, because they are persuaded to believe that these items are ‘trendy’ and ‘cool’. 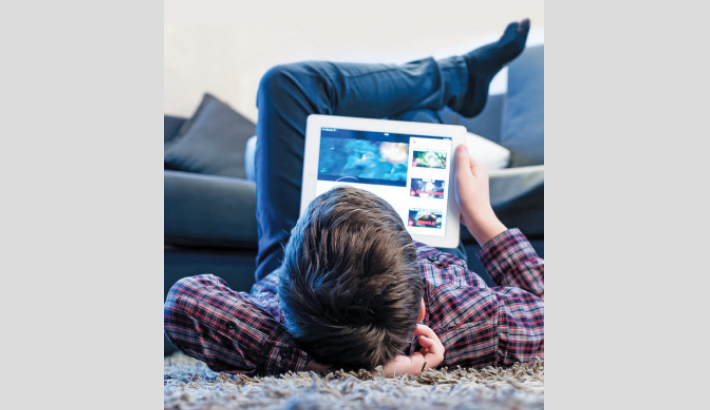 Fifthly, advertisements may help grow bad habits among youths and adolescents. For example- every now and then we see ads of tobacco in the TV channels. Despite the warning issued during the advertisements, research shows that cigarette ads do not prevent smokers rather it increases conventional cigarette use among adolescents and youths to a considerable extent. Moreover according to experts, the odds of underage drinking are increased by advertisements. A recent study showed that exposure to alcohol advertising is linked to an increase in adolescent alcohol use and this, in turn, is associated with higher levels of problems such as alcohol drinking and getting intoxicated, getting into fights and missing school. Last but not least, ads leave a long-lasting impression on children. Research suggests that when children watch more television, they are likely to want and demand more toys or other products. Studies have found that children do not have the ability to skeptically view marketing messages or even identify advertisements as marketing messages until they are in their teens. This means that marketing messages can be perceived as truths, and in many cases, those messages can stay with them until they become adults. Thus advertising can have lingering effects that hamper an adult’s ability to change their opinion of brands that are not healthy because they loved them as children. Well, we cannot stop watching advertisement but we can be more mindful. We should not believe whatever is portrayed in the ads blindly because it has been found that even the celebrities who are endorsing a particular product in an advertisement do not themselves use that product in their real lives.